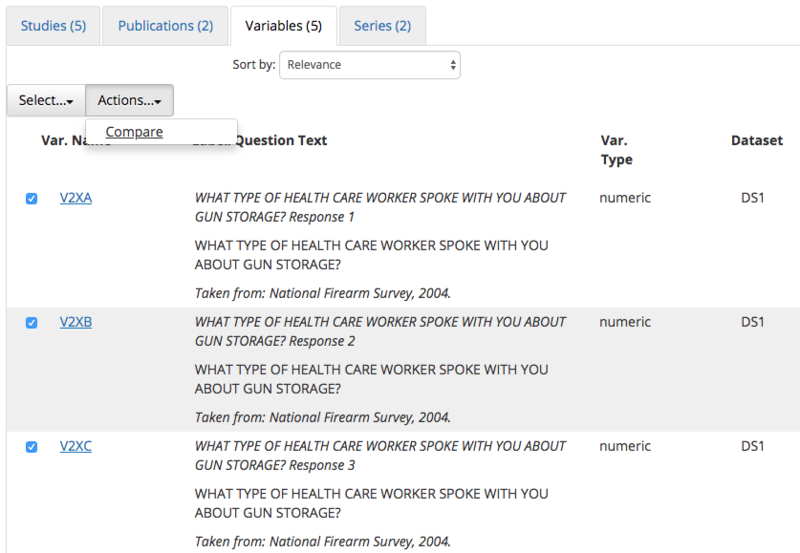 ICPSR's Social Science Variables Database (SSVD) enables FACTS users to examine and compare variables and questions across studies or series. To search for variables used in FACTS studies, use the search form at the top of this page. On the search results page, select the variables tab. On the Variables search results page, you can select checkboxes and then check "Compare" from the Actions list. You will be taken to a screen where you can compare the details of the variables you chose. "life satisfaction" "minority rights" "community programs"
A Boolean "and" is implied in the search. The search automatically does stemming; there's no need to type in an asterisk. It's also case-insensitive.